Oak flooring is one of the most popular finish materials available to homeowners. It creates a sense of warmth and character in the home, and works well with almost any decor. Oak floors provide homes with natural beauty and need to be properly maintained to prolong their lifespan. Avoid using regular household dusting and cleaning products. These products will cause permanent damage. 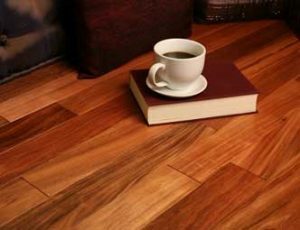 Use only products specifically designed for hardwood. Aside from spot cleaning your oak floors as necessary, it is also suggested that you vacuum, sweep, or dust mop weekly. It is crucial to never clean or wet mop your floors with water, as that may result in permanent damage. Oak floor swivel-head mops with microfiber covers are good cleaning tools as they eliminate fine particles of grit or dirt that may be missed by a vacuum or broom. 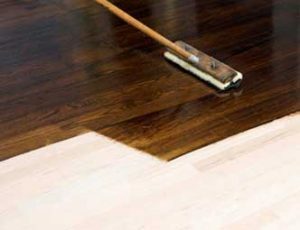 For oak flooring we should make it all the time in a clean, dry environment, if you find the floor is dirty, we should wring cotton mop it, refrain from using still dripping mop, also not to wipe the floor with liquid or corrosive items remain. Despite your best efforts to keep your oak floors untarnished, it is only natural that minor damage will occur. All spills and dirt should be wiped up immediately. The last point is why we must pay attention to, oak flooring itself still has a lot of advantages, but still can’t cover its shortcomings, we all know that it can’t withstand sharp things hurt, even more can’t stand with fire destroy things, so in our daily lives, we must pay attention to the knife or cigarette butts on the ground can’t be, otherwise it may cause very serious consequences. For deep scratches and gouges, it may be necessary to replace the individual board.